For us Bonfire night is a fun time of the year in which we eat cinder toffee and watch fireworks, however for our pets it is a scary time. As this is the case it is important that we look at ways in which we can keep our animals safe and help them to feel a little calmer. 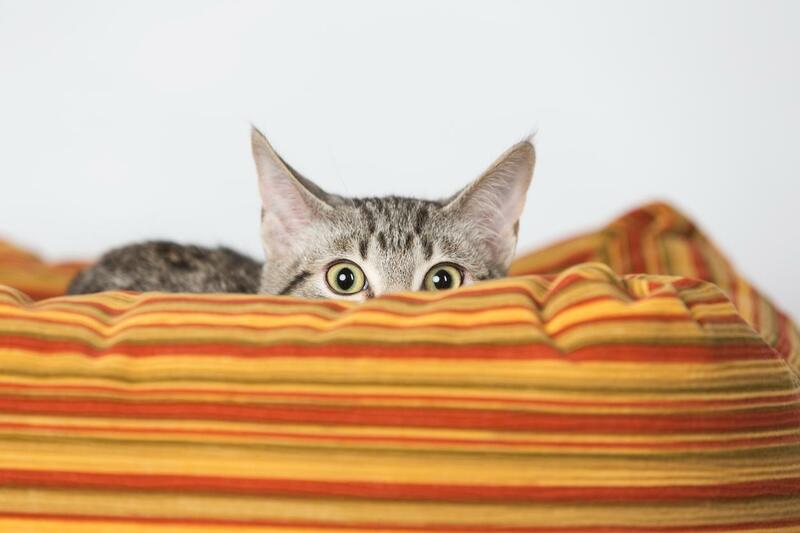 While each type of pet will have individual needs when it comes to dealing with their fear, there are a few things you can do that will help to make your home a safe place for any pet. Try to mask the sound of fireworks with the TV or Radio. Ensure all your windows and doors are closed, not only to dampen the sound but also to stop scared animals from running out in a panic. Close your curtains and blinds - while the sounds are frightening enough for animals, flashing lights can also cause them to panic. Try to reduce this by keeping your curtains closed. Let them know they are safe. When your pets are scared they may exhibit behaviours deemed "naughty", such as urinating indoors or scratching furniture. Try not to punish your animals as these behaviours are caused by fear, and punishment could only make things worse. Most cats are left to roam free, only coming home for food, water, and the odd cuddle, however on Bonfire night it is recommended that you try to keep your cat inside. The loud noises of Bonfire night can cause cats outside to be more stresses, which could lead to your pet running away, getting lost, or hurting themselves. In order to keep them calm, keep them inside and ensure there are lost of places they can hide so they feel safe and secure. If you are unable to keep your cat inside you should prepare for Bonfire night by ensuring that your cat is micro-chipped in case they do get lost or injured. You could even make a "safe space" in your garden for the, as if they attempt to come home but can't get in the house, they will still have somewhere nearby in which they can hide from the noise. You could also look to use herbal remedies to calm your pets such as Rescue Remedy. This is a natural liquid therapy for both humans and animals which can aid with terror, panic, and shock. Using natural remedies such as these will allow your cat to feel calmer without need for any type of sedative. It is non-intrusive and natural way to help calm your pets. Just as for cats, you should try to make safe hiding places for your dogs. The best method for this is to cover their cage or crate with blankets, put a soft bed inside, and allow them access to toys, food, and water close to their safe spot. If you don't have a cage or crate for your dog then it is time to revert back to your childhood ways and build them a fort using blankets and perhaps chairs and tables. Try to walk your dogs during the day, making your dog walk outside when surrounded by loud noises and bright flashes will only increase their fear. This could even cause them to dart off into danger and seriously hurt themselves. 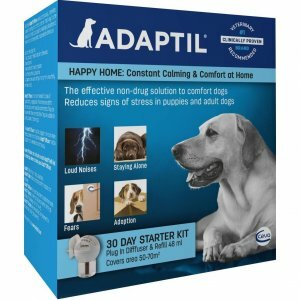 You can also look to use products such as Adaptil in your home, which contains a 'Dog Appeasing Pheremone' proven to help support dogs in stressful situations. A lot of these general techniques will work for other pets too, such as rodents and rabbits. So, look to keep your pets inside as creating a safe space for them will be the best way to calm them down. If you want more information on how to keep your pets safe this Bonfire night, look at the RSPCA website or contact your vet.